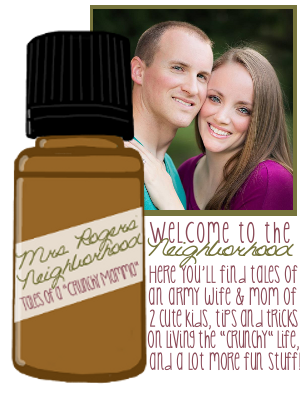 Mrs. Rogers' Neighborhood: Blog love, babies, the great debate, scents to avoid, and plastic surgery. Sounds like a party! Blog love, babies, the great debate, scents to avoid, and plastic surgery. Sounds like a party! It's that time again! We Want To Know Wednesday - I'm linkin' up, people, and you should too! Head over to Impulsive Addict, Mamarazzi, Janette, or Shawn's blog and link away, friends! 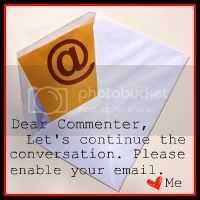 1-Name five of your favorite new blogs that you're reading. Welllll......"new"...? I've been feeling kinda bogged down lately...which means I haven't been taking on many new blogs....so I'll go with "relatively new", yeah? 2-When you were a young child or teenager, did you have an idea of how many children you wanted and what their names would be? Did you follow through on your ideas? As for names....that's just funny. When I was a child, I wanted to name my boy that I was just SURE to have Bradley and my absolute GIVEN girl Keirsten. You don't really think about the possibility of not being able to have children when you are a child dreaming up your future wedding with Prince Charming and the family that would unquestionably follow. Needless to say, I've changed my mind on the names. (No offense to anyone with those names--my taste has just changed over the years) I really wanted to name a little girl Candace Jane (my sister's name is Candace and we would call my daughter Jane) and I could never settle on a boy name. My son has four names (went with hispanic/latin(o?) tradition and gave him two last names and one ended up having to be a second middle name and....yeah....). His first two are Gabriel [have loved that name for a while] Thomas [family name]. 3-What is the silliest thing you fight with someone about? Ummm...I'm a debater, so I "fight" with a lot of people about silly things...just for the sake of arguing. Most recently, it has been the way my husband blows his nose. I'm not kidding. The man blows his nose in the loudest, most obnoxious way possible. It drives me CRAZY. He has woken up the baby several times when blowing his nose. Gabriel actually associates that sound with "Daddy". He knows if he hears this loud, weird, annoying sound, Daddy is somewhere nearby. I could scream every time I hear it. Makes me want to throw something at him. Though I like that match smell, it always makes me paranoid that something may have just caught fire! Love the Vlog-- my hubs would NEVER let me put him on camera or on my blog for that matter! You should have had him blow his nose so we can hear it. hah! Love the military family background and awesome for the parade ya'll were able to participate in!! I love that you fight over him blowing his nose. My husband hacks a lot. He does it every morning while brushing his teeth. iT makes me want to hit him in his throat. Thanks for linking up and I LOOOOVE you for putting me in your top 5! That made my day. PS. The first two are in my top as well. I like the smell of a freshly lit cigarette.